Officials searching for the missing Malaysia Airlines plane are fairly certain it was intentionally flown off course for an extended period of time. They are basing that theory on a series of satellite “pings” the plane sent as it soared off toward India and the Middle East — or maybe out into the expanse of the Indian Ocean. Flying on a full tank of fuel, data show the jetliner could have traveled at least 2,200 nautical miles after it vanished from its last confirmed location over the Gulf of Thailand. If piracy was the culprit behind the plane's disappearance, then the hijackers were likely looking for a place to land. A Boeing 777-200 like Malaysia Airlines Flight 370 would need at least 5,000 feet of runway, according to an American Airlines pilot who spoke to Slate. Operating under the assumption that the plane flew for a maximum of five hours, that it could have landed on a runway at least 5,000 feet long, and using data provided by a company that lists coordinates for runways around the world, the Data News team at WNYC put together a map that details all of the possible runways that the plane could have reached. There are 634 possible runways spread across 26 different countries stretching from the northern tip of India to the western coast of Australia. 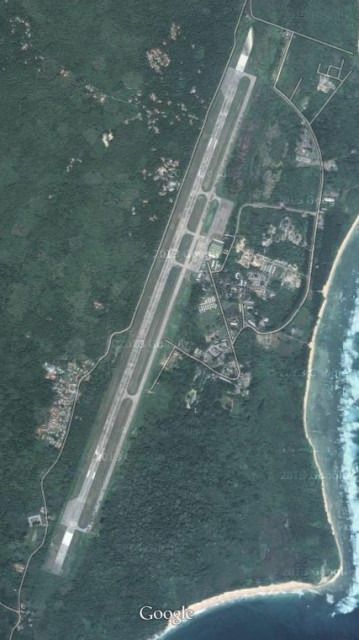 Here is what one of them, the Veer Savarkar International Airport in Port Blair on India's Andaman Islands, looks like from Google's satellite map view. The airport has one runway that is more than 10,000 feet long, which is more than enough to accommodate a Boeing 777-200. Another possible airport within range of the aircraft is Car Nicobar Air Base in the Andaman Islands, which is mainly used by the Indian Air Force. It has a runway that is nearly 9,000 feet long. 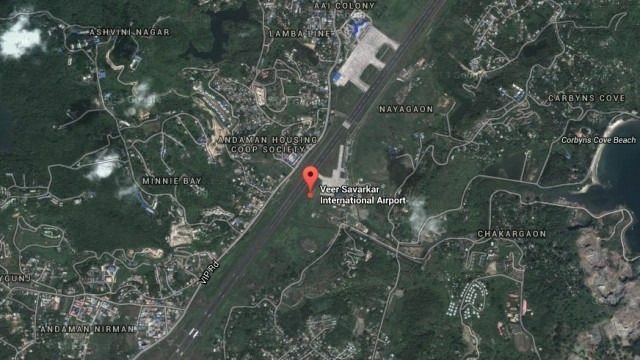 Google map satellite view of Car Nicobar Air Base in the Andaman Islands. A more remote possibility is that the jet landed in a populated area, such as Yangon, Myanmar. 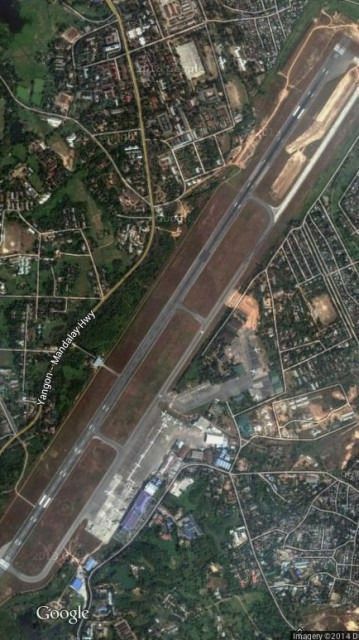 Here is a satellite view of the international airport there, which could accommodate such an aircraft. Airport in Yangon, Myanmar, which has a runway long enough to accommodate a Boeing 777-200 series aircraft.